"I am an ex Ice-hockey and football player and have been disabled with Chronic Pain Syndrome since September 2008. I have had 2 major surgeries on my arm after developing Compartment Sundrome in June and Nov 2016 and in August 2016, I had surgery on my neck to repair 2 discs between C3-4. I also have been told I have an undiagnosed bleeding disorder which means I have to be seen every 6 months for the rest of my life. However my main reason for starting this blog is on January 11th 2018 I am having surgery on my neck and am having everything from C1-C7 fused so that I will be unable to move my head...at all. At the moment any movement of my head causes the discs to rub on my spinal cord and I pass out (3-4 times a day at the moment). Naturally I am rather scared of what is about to happen and felt sharing my journey with everyone would help in some way. My Wife has been a constant rock since I became disabled though we only got married this year (my bad for not proposing earlier) and she has given me so much support and I am sure is just as concerned over what is such an uncertain future. All we know is I will be in hospital for at least 5 days, and will be in a hard neck brace for about 3 months...minimum." Today has been a pretty good day and we went out and purchased a new car. Looking for a car with the main thought of me being able to get into the damn thing without bending my head was weird but we made a great choice and we can't wait for it to arrive. Pain has behaved today apart from a brief twinge earlier though it feels a bit stiff although I also passed out when sat on my sofa. Coming round and seeing your phone on the floor when you were playing a game only seconds before doesn't half feel weird and I'm hoping this is the only instance today. Only time will tell. "Unfortunately we received a letter from my hospital saying my surgery had been delayed for a 3rd time and is now not due till the 25th January 2018!! Our Christmas Day was spent firstly with the two of us in bed opening our presents and then greeting her Mum and partner who came to ours for dinner. Boxing Day has been spent at Lucy’s (my wife) Mums having a lovely family day though unfortunately I have struggled twofold. Firstly with the pain in my neck and back beginning to rise and a possible bad case of cystitis which makes going to the loo absolute torture. I may have to ring the GP tomorrow if I wake up and am still suffering." "...anyway onto me and my Myelopathy, As I’ve said before pain and blacking out is still a major part of my life with an average of 4 blackouts a day. A new symptom which I’ve noticed is I get really bad cramp in my left arm, where I had the compartment syndrome which is really painful and I can’t move my hand. This I am sure is down to the Myelopathy but it doesn’t make it any less painful. The countdown has reached 15 days before I am admitted into hospital before the surgery but I’m trying to not think about that in case we have another postponement." ​A big, heartfelt "Good Luck" from all of us here at myelopathy.org, hopefully your surgery goes as well as possible! Feel free to comment messages of support down below! Next week we resume normal service and bring you our Pillar article, as well as an added bonus article about muscle spasms related with CSM!! Stay tuned!!! From all of use here at myelopathy.org, a very Happy New Year to all our readers worldwide! 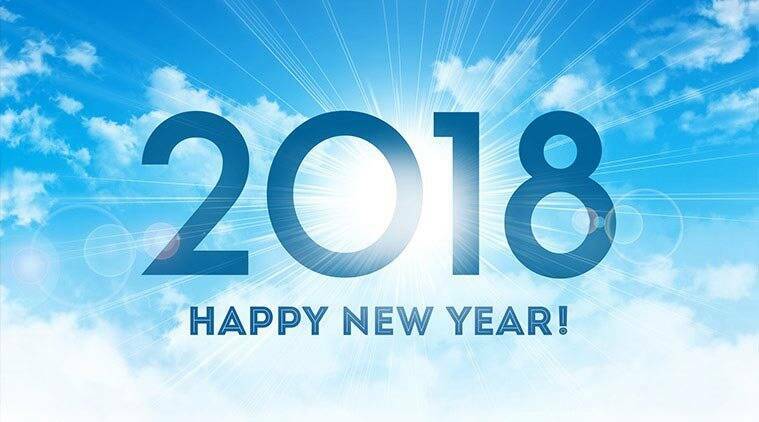 We wish you all the very best for this year, and our thoughts are with those suffering from CSM: we will keep bringing you any breakthroughs related to the condition as always! For this year's first post, we have a small poll: imagine you come across Aladdin's lamp and have the chance to make one wish to get rid of one CSM symptom! We are asking all of you what one symptom you would like to wish away. Feel free to comment down below to share the reasoning behind your choices! Stay tuned for a post later this week/early next week summarising the general concept and history associated with CSM, as well as a patient-story blog! Have a great week!